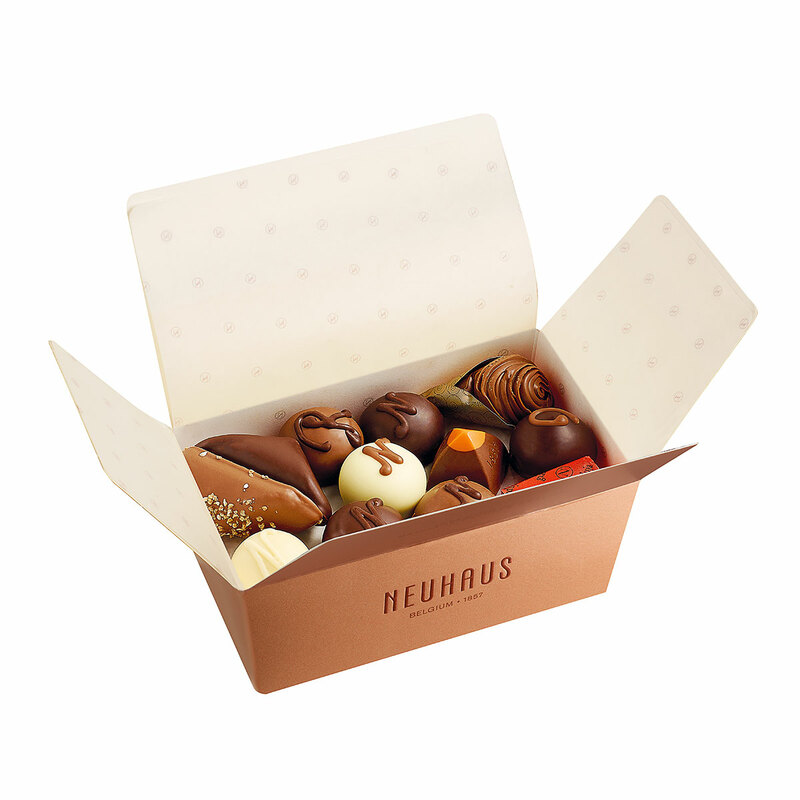 Discover the world of premium Belgian chocolate with this unique, luxurious gift box filled with a selection of Neuhaus' best chocolate delicacies. 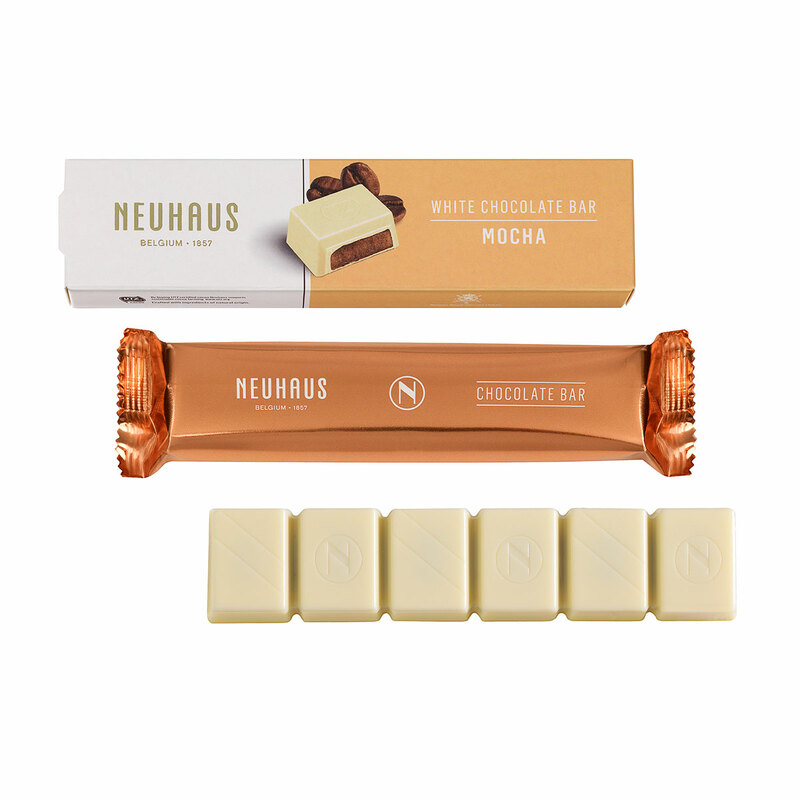 This is a wonderful gift to introduce friends or family to the Neuhaus range. The ballotin with pralines is stylishly wrapped in shiny, bronze-colored paper and is tied with luxurious, bronze-colored ribbon. 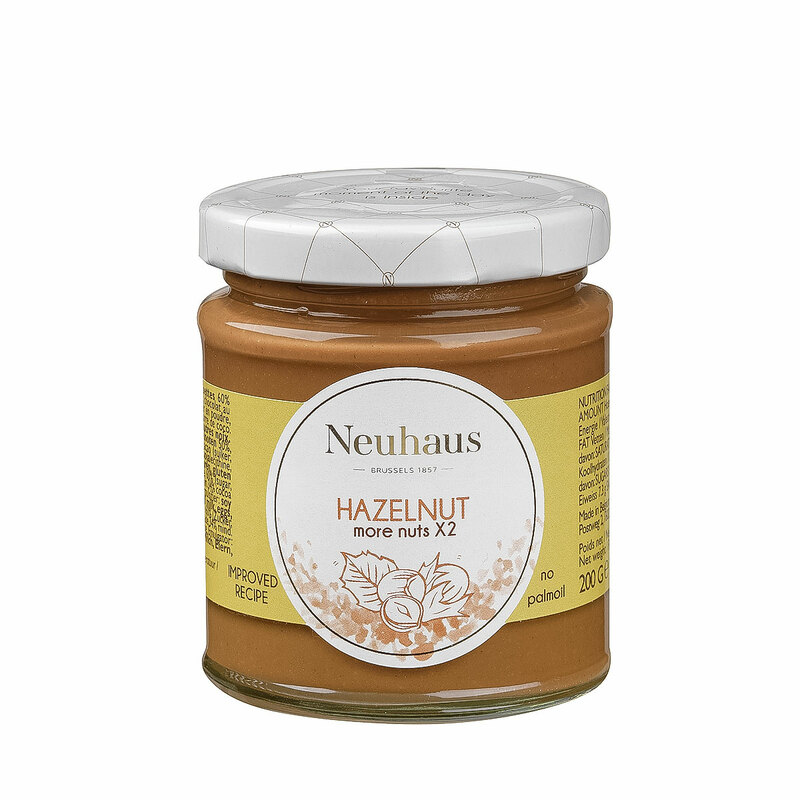 As the inventor of the Belgian chocolate praline, Neuhaus guarantees absolute top quality and excellent taste. 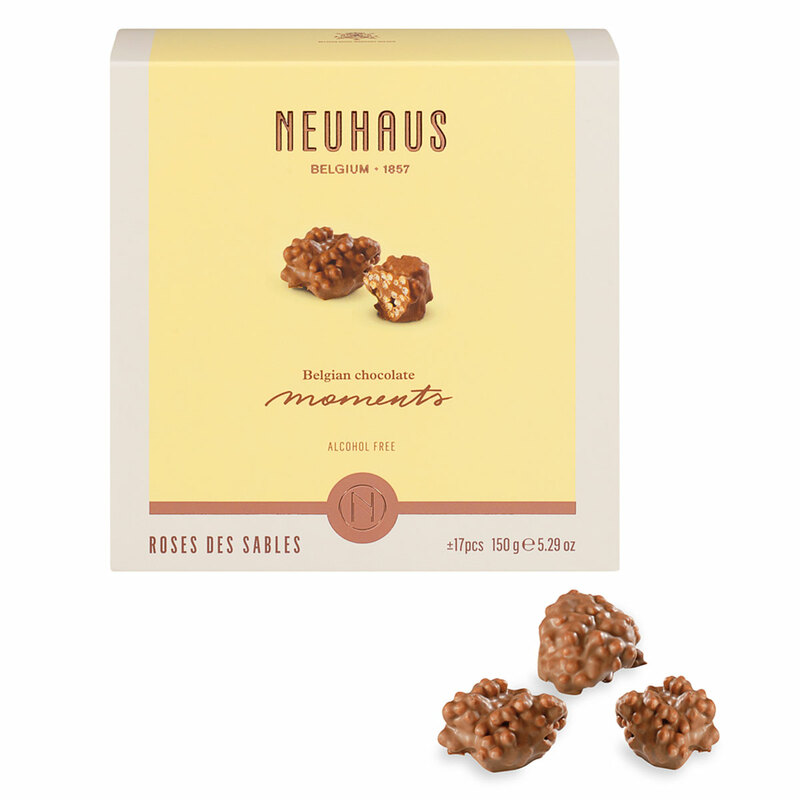 Discover also the Belgian Chocolate Moments Rose Des Sables: artisanal chocolate snacks made of crispy, puffed rice covered with Belgian milk chocolate. The milk and dark chocolate Mendiants with raisins and nuts are a special treat. 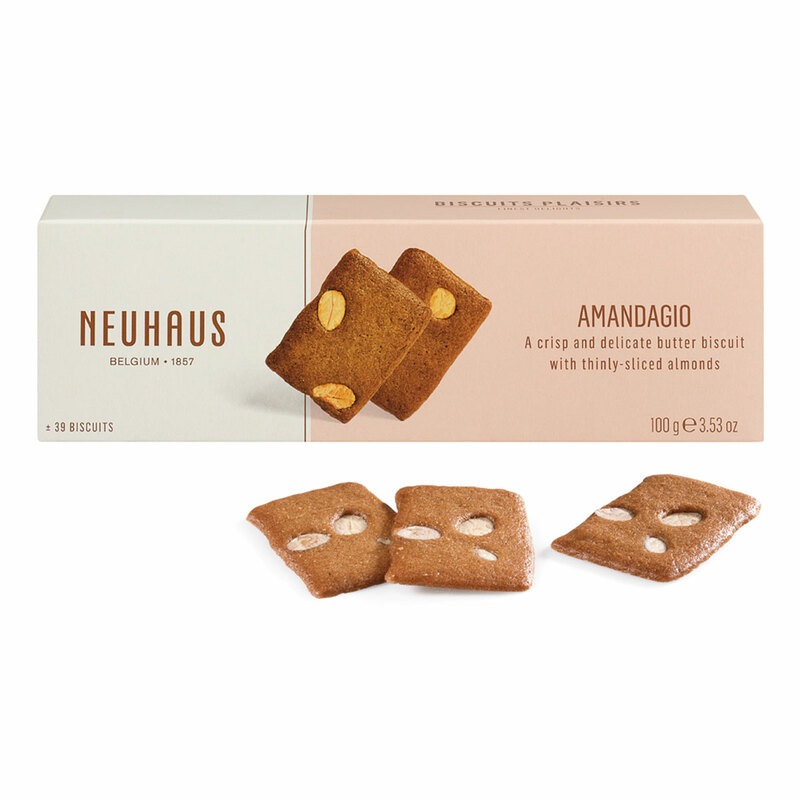 They are also sure to love the chocolate spread, the white chocolate mocha bar and the Amandagio almond cookies, which are the ideal snack for every moment.